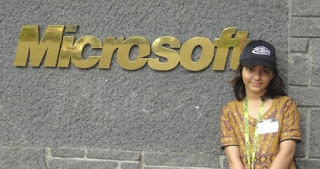 We just came to know this socking news that World's youngest Microsoft Certified Professional Arfa Karim has passed away few minutes ago in CHM Hospital Lahore. according to media reports the heart of Arfa Karim stopped working due to which she passed away. 16 years old Arfa Karim became World's youngest Microsoft Certified Professional in age of 9. last month she faced a cardiac arrest. Yesterday media reported that her health is improving but just few minutes ago we listened the shocking news of her death. May Allah SWT give her peace.